At the beginning of the twentieth century Argentina was very prolific. It had finished with the independence and civil wars that had characterized the nineteenth century and had began building a new society. Large waves of European immigration continued to flock into the country, and the search for a common identity was in full swing. Additionally, the country was establishing its agricultural sector in the Pampas and becoming a major exporter. The advancements in cold storage, the different ports, and the railway were important features of the two defining aspects of the country, European immigration and the agricultural model. From the 30’s onwards, the country entered a period of economic and political unrest followed by military dictatorships, Peronism and more, that were to influence society and the content of many artists work. The early 1900´s were very significant in terms of cultural production. It was during this period that tango began to develop, and that the Florida group, the Boedo group and La Boca group were created. The first was characterized for paying special attention to style and looking to incorporate innovative vanguard uses of technique. Its members, including Jorge Luis Borges, Antonio Berni, Emilio Pettorutti and Xul Solar, amongst others, were from the upper classes and they regularly met at the Richmond Café on Florida Street (which has recently been closed down). The Boedo group, which stood out more for its literature than its visual arts, was more interested in incorporating vanguard themes, generally from a left wing point of view. Its most well known member was author Roberto Arlt. Finally, La Boca group was made up of mostly Italian immigrants and developed a unique style with common themes being the port, the workers and immigrant neighborhoods. It is amongst this last group that Benito Quinquela Martín is associated with. Other important artists at the time were Fernando Fader, Raul Soldi who belonged to the Pintura Sensible tradition and Medardo Pantoja who portrayed the indigenous people, amongst many others. 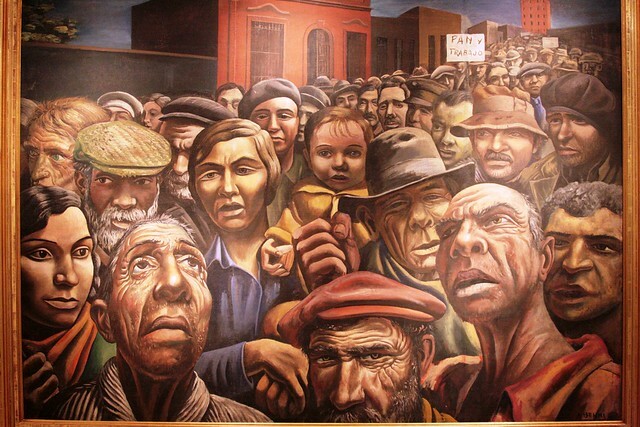 Antonio Berni is one of Argentina’s most emblematic artists. He was a painter, an illustrator and an engraver and was influenced by the European cubists, surrealists and Dadaists. His style was mainly surrealist with an important social thematic that later developed into his defining style, Social Realism. He was also increasingly active from the thirties onwards as crises and political unrest took over the country. Amongst his most well known works are Desocupado, the Juanito Laguna and Ramona Montiel series, and one of the cupolas of the now Galerias Pacifico. A few of his paintings are displayed at the Muséo Nacional de Bellas Artes, the MALBA and Muséo de Artes Plásticas Eduardo Sivori. Emilio Pettoruti was strongly influenced by cubism, futurism and abstract art. His first exhibit in the twenties caused a scandal as his art was nothing like the painting the locals were used to at the time about local customs and manners. He was interested in movement, light, technique and color and his painting were precise and geometric tending towards abstraction in his later work. Many of his paintings can be found at the Muséo Nacional de Bellas Artes. Xul Solar was a quirky and colorful character whose art reflected his interest in astrology, mythology and religion. His style resembles Paul Klee’s and he is considered to be a surrealist by some and a fantasy artist by others. He also invented a language and all sorts of games which he used to play with his friends, including Jorge Luis Borges who some point out as his literary parallel. 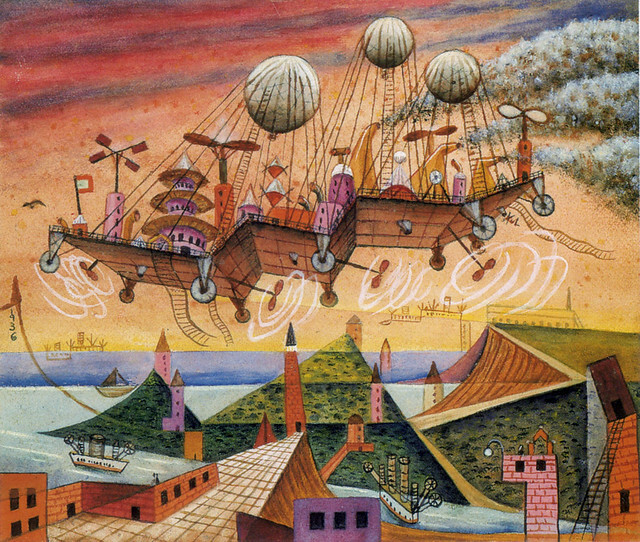 The Xul Solar museum in Palermo displays many of his paintings and colorful inventions. Benito Quinquela Martin is an emblematic Argentine artist and is synonymous to La Boca. His colorful paintings of La Boca port have earned him international acclaim, and he is remembered locally for having founded the Pedro de Mendoza museum-school in La Boca with the profit he made from his paintings. He himself was a port worker and was a self- taught artist. 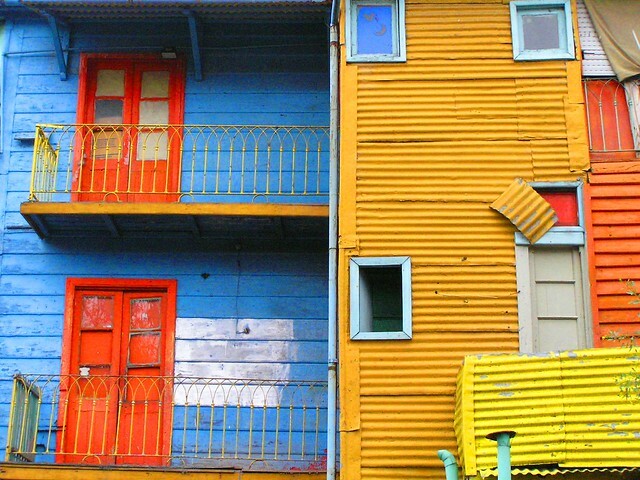 He also popularized the use of bright colors for the facade of houses, which is one of the characteristics of the La Boca neighborhood even today. The Quinquela Martin museum in La Boca displays a large collection of his work. This entry was posted in Art and tagged 20th Century, Agriculture, argentina, art, Berni, Borges, Buenos Aires art museum, buenos aires,, immingration, Pettoruti, port, Quinquela Martin, xul solar by Fierro Hotel Staff. Bookmark the permalink.